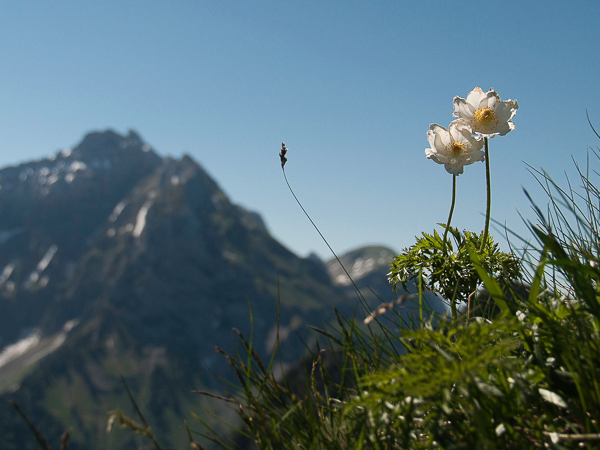 The Aravis Mountain range, located in the Northern French Alps, is our long-time home base. It’s here that Walk (Ski and Bike) Weekender started out, and we’ve been showing people just how fantastic this hidden gem is for the past 15 years. This region is a perfect location for short active holidays; it’s ideally located, just one hour’s airport transfer from Geneva, which is served by a wide range of flights from all over the U.K. This makes it possible for us to offer long weekends which get you 3 or 4 full days of walking amazing Alpine terrain, without time wasted on transfers and only a couple of days off work. The Aravis massif rises between the lower terrain of the Rhône valley to the west and the towering Mont Blanc range to the East. The craggy limestone peaks of the Aravis are known for their excellent snow record and have a great reputation with French and Swiss locals “in the know” for both winter and summer holidays and day trips. The range is footed by the old farming villages (now also ski resorts) of le Grand Bornand and La Clusaz. These are still working centres year-round, with artisanal cheese production the main local business aside from tourism. This year-round life and upkeep of old traditions gives an extra dimension to the area, adding to its air of authentic Alpine charm. The winter ski season runs from December to April; from early May the snows start to recede leaving hundreds of kilometres of green treelined valley paths, higher tracks through pine forest and steeper rocky trails up to the summits. 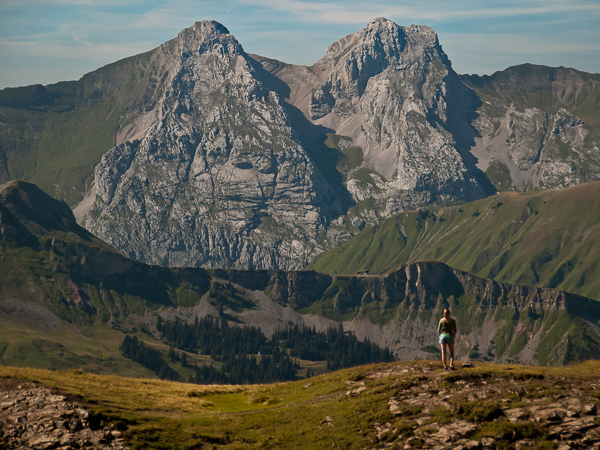 The mix of terrain in the Aravis is perfect for walkers of all ability and experience levels; lower routes can take in streams, farmland and meadows, or head into the mid-mountain to tackle steeper terrain and areas of scree and the broken limestone boulder fields known locally as “lapiaz”. There are plenty of rewarding climbs to stunning viewpoints which don’t involve cliffhanging trails… so anyone with a normal level of fitness can enjoy the exhiliration of reaching a summit and being rewarded with an unforgettable, expansive Alpine view. Of course, there’s also plenty to challenge seasoned hikers as well. 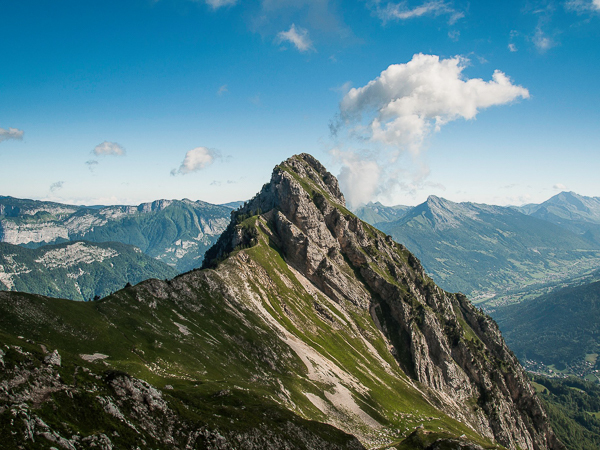 The Aravis rise to nearly 3000m, and the higher peaks can be accessed by steeper scrambles and some thrilling walks along narrow cols and crests. For some of the highest routes, engaging a mountain guide is reccomended; let us know if you’re looking for this sort of challenge and we can sort things out with our local contacts. 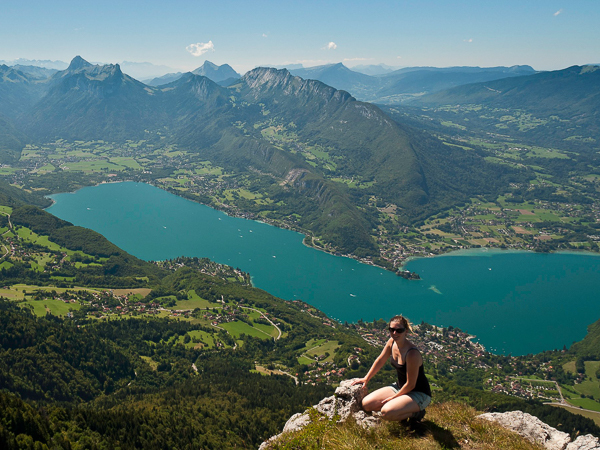 As if all this weren’t enough, we’re incredibly lucky to have our base located just half an hour from Annecy, where you’ll find one of the cleanest and most beautiful lakes in Europe, plus a charming mediaeval old town with parks and gardens along the lakeshore. Annecy makes for a great contrast to the mountains; there are still some longer trails and climbs around the forests and nature reserves above its shored, but there are also extensive networks of flat paths and cycle tracks which allow for some more relaxed strolling. The old town of Annecy is known as the ‘Venice of the Alps’; it’s very well preserved, and has a wealth of boutiques, cafés and restaurants hidden amongst its winding mediaeval lanes and canals. The lake is great for swimming too… all in all, a morning exploring Annecy followed by a leisurely lunch and dip in the lake makes for a fun, relaxed change from time in the hills. Our Walk Weekender packages are available on a fixed range of dates, based out of our cosy Aravis Lodge chalet-hotel near La Clusaz, France. For groups of 6 or more, we can also offer a very wide range of custom trips, including longer stays in the Aravis / Annecy region plus breaks further afield in Provence. If your walking club or group of friends would like to organise a memorable holiday in France, we can help. Weeklong breaks, or short breaks with varied formats are possible, in a range of great locations including the Alps, Luberon and Côte d’Azur. 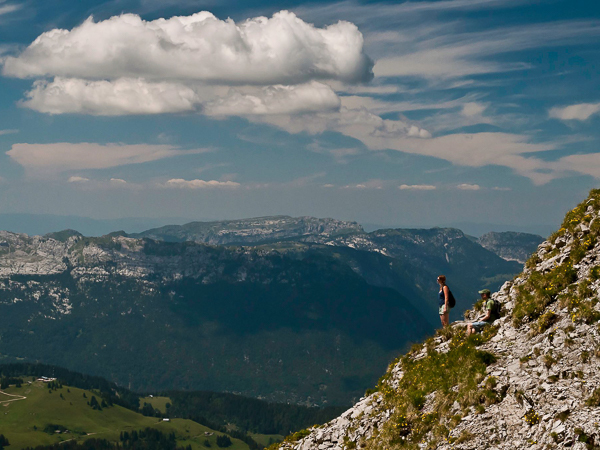 Questions about Walking in the Alps, Aravis & Annecy? We've been here for nearly 15 years and can help with all aspects of planning your walking holiday.